A couple of weeks ago we went on an Apple Picking Adventure and returned home with 6 kg of apples. Six kilos of apples for two people. As you can imagine, ever since we've been making lots of apple filled treats. There's been apple crumbles, apple pies, apple tarts - but most importantly? 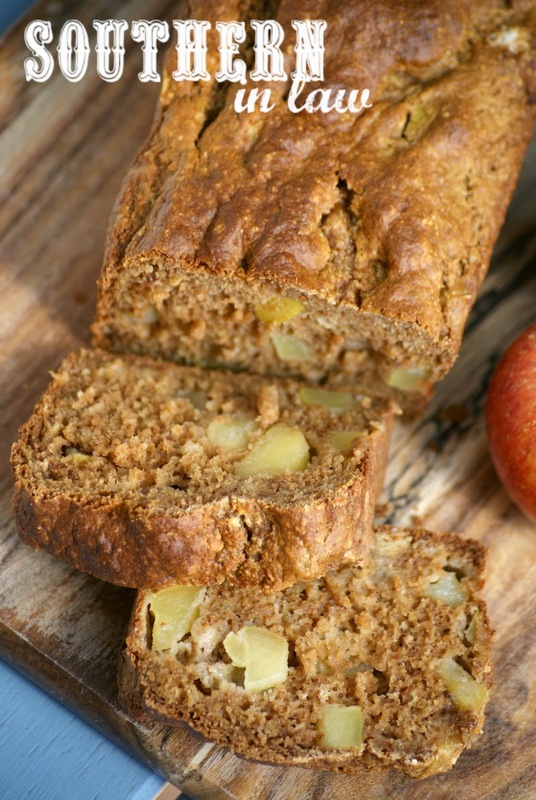 This ridiculously delicious apple bread. It's a recipe I've been tweaking and testing for quite some time but last Saturday I finally perfected it - and when it was devoured in less than an hour and I had to make two more batches jusssssssssssst to make sure it was perfect, I knew I had to share it with you ASAP. 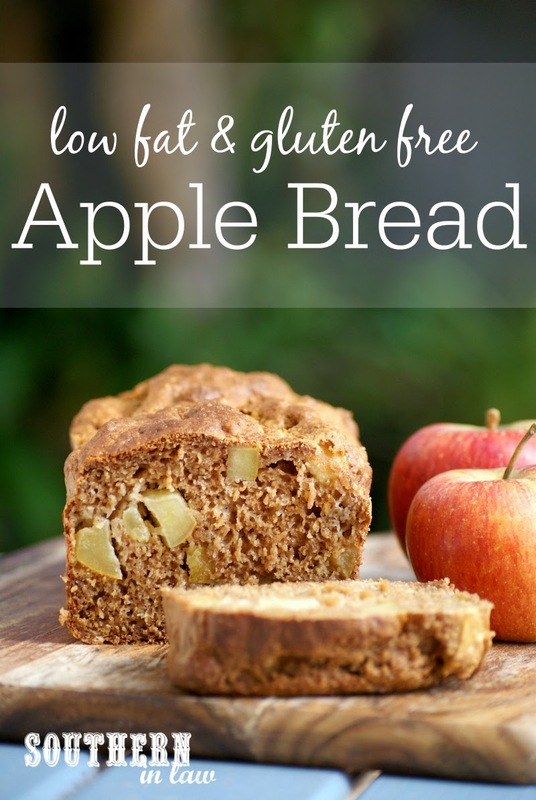 This bread is full of soft, juicy apple chunks with just the right amount of cinnamon and sweetness. Be warned though, it will disappear before your eyes as piece after piece finds its place in happy tummies. 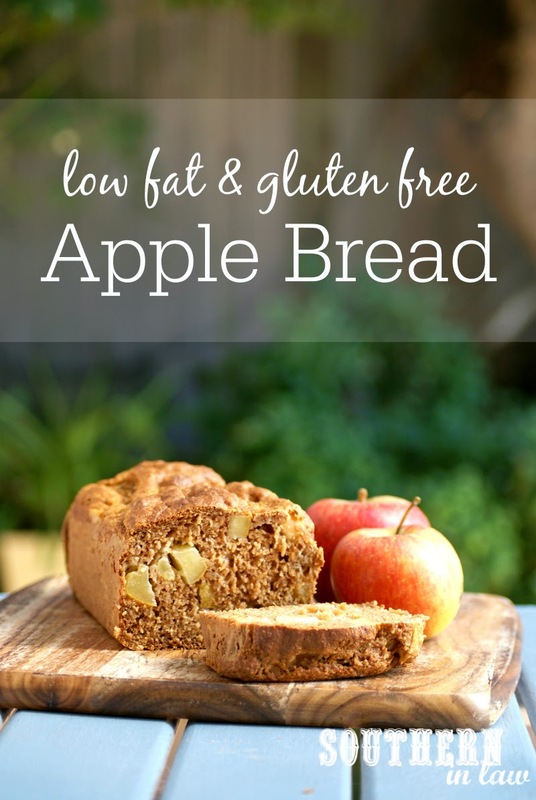 It's healthy enough for breakfast and so easy to adapt and make your own! Add in some nuts or raisins for added flavour, switch out all or half of the apple for your favourite fresh or frozen berries for something totally different - the options are endless! Personally, we like sticking to the recipe as is as it's too good to change! Grease and/or line a loaf tin and set aside (we used our favourite small deep loaf tin). In a medium mixing bowl, mix together your flours, baking soda, cinnamon and sugar. Add in your eggs, vanilla and applesauce, mixing until just combined. If needed, add a splash of milk until you get a thick but mixable batter. Mix through your chopped apple, mixing until the apples are evenly spread throughout your batter and pouring into your prepared tin. Bake for 40-60 minutes, or until your loaf is cooked through and a toothpick inserted into the centre removes clean. Tip! We often find the top cooks faster than the middle and if that's the case for you, simply cover your loaf with foil once the top has cooked and continue baking until a skewer inserted into the middle removes clean. This will stop the top from over-browning/drying out. Once baked, allow to cool slightly before removing from the tin. Serve as desired (Jesse likes his warm whilst I like mine chilled!) and store any leftovers in an airtight container for 2-3 days. This bread will also freeze brilliantly - either freeze an entire loaf to defrost and eat later or slice and freeze in individual slices for a quick and healthy snack or breakfast! *Find out more about oats on a gluten free diet. If you can't tolerate oats or don't have them, feel free to switch them out with another 1/2 cup of regular flour or use gluten free brown rice/buckwheat or quinoa flour for a higher fibre option! **You can also use 1/4 cup honey or maple syrup if you prefer! If you like your baked goods really sweet use up to 1/2 cup. But tell me, what are your favourite apple recipes? And what food have you been loving lately? Apples and soups are what I'm about at the moment. We've got about a kilo of apples left and I'll be really sad when they're all gone! I will never change my mind, apples are the best fruit, hands down!